Koodo has launched new plans which feature double the data and also include 1,000 international long distance minutes to India, Germany, China, Hong Kong, Bangladesh, Italy, Mexico, Australia and Taiwan. They are available on No Tab, Tab Small and Tab Medium. Tab Large has a $59/2GB offer only. Plans with unlimited minutes are $5 extra over its comparable plan with just 500 daytime minutes. All plans come with the usual extras, plus unlimited messaging. These “limited time offers” are available provinces that do not have special regional pricing, such as BC, Alberta and Ontario. Yesterday, we saw Fido launch a similar promotion with double the data on select plans, with also 1,000 international calling minutes to the listed nations above, but includes the UK, unlike Koodo. 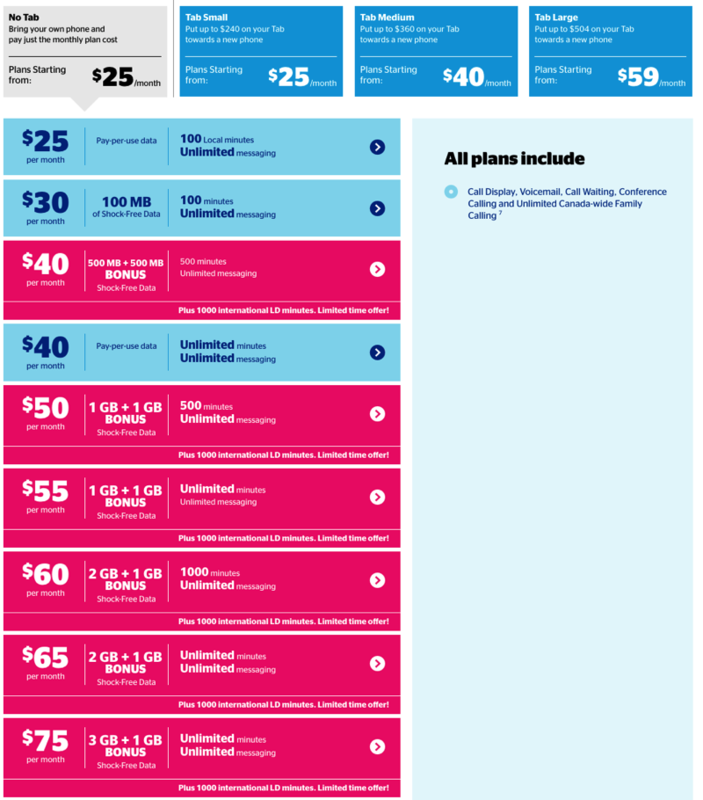 If you’re on any of these Koodo plans, call in and change (or do it yourself via online self-serve) to the promotional offers if they are going to benefit you.